Your body normally gives you obvious signs to communicate what it needs. For example, when your body needs nutrients, you feel hunger. When it needs sleep, you feel tired. When you need to have a BM, well, you get the urge. But one area where your body is more subtle in communicating its needs is with WATER. Here’s the scoop on this often overlooked health concern and some sneaky causes of it you might not be aware of. Water is a critical to your body--keeping your body hydrated is a MUST in order for it to function and for you to exist at all. Up to 75 percent of the number you see on your bathroom scale is made up of water. Most of that water is found inside your cells (your intracellular space). The rest is in your extracellular space, which consists of your blood vessels and the spaces between your cells (called interstitial space). Dehydration occurs when the amount of water leaving your body is greater than the amount being taken in. The danger with it is that it can sneak up on you without warning—and you can go from a slight problem to fighting for your life surprisingly quickly. When dehydration initially occurs, the first signs are increased thirst, dry mouth and dark yellow urine. Next your body may stop making tears, sweat and urine. Your skin can become dry, your hair brittle, and you may become constipated. Then it can progress into muscle cramps, nausea and vomiting, heart palpitations, lightheadedness, back pain, and decreased energy and cognitive functioning. At this point your body is trying desperately to maintain cardiac output (the amount of blood that your heart pumps through the body). It compensates by increasing your heart rate and making your blood vessels constrict in an attempt to maintain blood pressure and blood flow to your vital organs. Your body also pulls blood flow away from the skin to give it to the internal organs and this gives your skin a cool, clammy feeling. If dehydration becomes severe, confusion, weakness and seizures can occur as your brain and other organs aren’t receiving the blood they need. Eventually coma, organ failure and death can result if it remains untreated. So much more than sweating on a hot day! 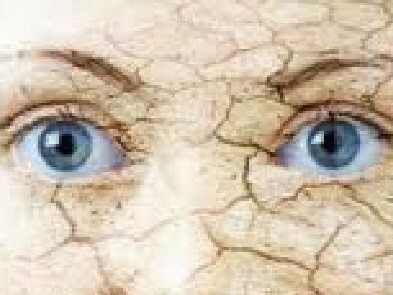 Although most people think of dehydration as the result of sweating in the hot sun, that’s just the tip of the iceberg. Diabetes: When blood sugar levels are elevated, your body tries to eliminate the excess glucose through increased urine output, which can dehydrate you. Menstrual cycle: Estrogen and progesterone influence your body's hydration levels. Plus the amount of blood loss during heavy menstrual flow can cause dehydration. Stress: When you’re under chronic stress, your adrenals work in overdrive secreting adrenaline and cortisol, and eventually they can become exhausted. Since your adrenals also produce aldosterone (which regulates your fluid levels), dehydration can result. The biological clock: As you age, your body's ability to conserve water and its sensation for thirst decline, so dehydration can sneak up on you. Medications: Many medications act as diuretics—especially high blood pressure drugs. Pregnancy and breastfeeding: A woman’s body has additional fluid needs during pregnancy and for producing breast milk. Poor diet: One of your body’s primary sources of water is fruits and vegetables. So if it’s been decades since you ate a salad or your only vegetables are French fries and ketchup, you are at a risk for dehydration (among other things). Inadequate digestion: If your digestion typically doesn’t go along so well, that can lead to diarrhea. During digestion your colon is supposed to absorb water from your wastes …but with diarrhea, it doesn’t get the chance, and you can end up dehydrated as a result. The good news is that dehydration is virtually 100 percent preventable. 1-The obvious one—drink your water! Another barometer is to look at how many pounds you weigh and drink at least half that number in ounces of water. For example, a person weighing 150 pounds should drink at least 75 ounces of water a day. Just be sure to avoid drinking large amounts of water with or immediately following meals, as it can dilute your digestive enzymes and make digestion less efficient. Fresh fruits and vegetables not only give your body much-needed nutrients, but they’re a great source of water (and fiber too). At least half of what’s on your plate (and preferably 60-70 percent) should be fruits and vegetables. In order to make sure your colon can properly absorb water from your wastes (as well as to help encourage better nutrient absorption), it’s crucial to have efficient digestion. You can help that process along by both eating meals that are much easier for your body to tackle and supporting a healthier intestinal environment. The Great Taste No Pain and Great Taste No Gluten health systems give you the dietary guidance you need to construct delicious, nutritious meals (featuring sources of water like fruits and vegetables) that are less taxing on your GI tract. When your system can better break down your foods, issues like diarrhea, gas, bloating and constipation can subside! Plus here’s an added bonus—if you have health challenges like hypertension or diabetes than can play a role in dehydration, you just might see improvements in those conditions with a healthier diet too! The friendly bacteria in your system help to keep your gut wall strong, assist with digestion and keep harmful bacteria under control. But they can only do their job if there is a sufficient population of them…and since so many factors (like stress, medications, toxins, smoking and inadequate sleep) can throw off your flora balance, probiotic supplementation can be helpful to so many people. And Super Shield is truly a Super Star in the probiotic world! Super Shield contains 13 potent, effective strains of friendly bacteria can help repopulate your supply of friendly microbes, which in turn can encourage sound digestion and support your immune system too. Don’t let dehydration sneak up on you. See how great you can feel when you stay properly hydrated and all your systems can work like they’re supposed to! PS: The day is fast approaching for the release of our new multi-vitamin formula Super Core! I’ll let you know the second it’s available!